Affordability is important to us, so please take advantage of our discounted rate if you need it – and help us to keep offering that discount by paying the full price if you don’t need the discount! The membership fee applies to a single year’s Annual Membership Meeting only. 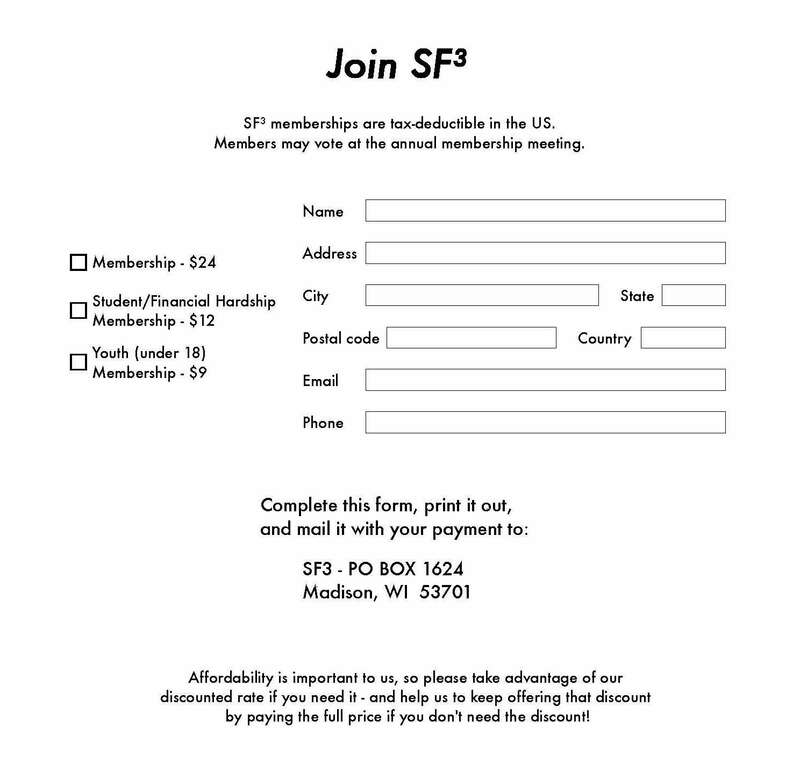 Complete and mail a copy of the form below to SF3 with a check for your tax-deductible membership fee. If you are mailing the form and your payment within a week of the meeting date, please also email treasurer@sf3.org so that we can be certain to get meeting materials to you in a timely manner. 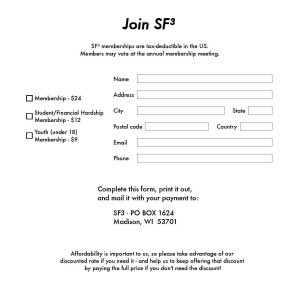 Download the PDF version of the SF3 Membership form here.